"We are now seeing the beginning of a relationship," US Congressman William Delahunt, chairman of the foreign affairs subcommittee on Europe, told EurActiv in his Washington office. There is a sense of rebirth and new expectations both in Washington and Brussels after the opening of a representative office for the European Parliament on Capitol Hill. Currently, institutional cooperation between Congress and the European Parliament is enshrined in the Transatlantic Legislators Dialogue (TLD), a body borne out of the Transatlantic Agenda of 1995. The TLD served as a consultative body. But with the changing global environment, the body, which is made up of qualified legislators, has increasingly dealt with highly technical issues such as energy efficiency, terrorist finance and technology. With the Lisbon Treaty, "the TLD becomes different: it has a different raison d’être," explained Anthony Smallwood, spokesperson for the European Commission's delegation in Washington, noting that dialogue was getting a bit stale but now has "real potential". As proof that the times are changing, this week a group of MEPs is travelling to Washington to discuss with their counterparts in Congress the next EU-US agreement on financial data transfer, which was rejected by the Parliament. "When engaged properly, the European Parliament (EP) will prove a formidable force for moving substantive transatlantic policy, and when ignored, the post-Lisbon EP will make its voice heard," noted Tyson Barker, head of the Bertelsmann Foundation Congressional European Parliament initiative, which aims to further cooperation between staffers in the two chambers. The European Parliament shocked Washington in February by rejecting the so-called SWIFT agreement, which allows American law enforcement officials to access bank data in a bid to combat terrorism. The Parliament blocked the legislative measure as it viewed the data-sharing agreement as an infringement on citizens'privacy and civil liberties. Since then a number of delegations have been flying back and forth, across the Atlantic to listen to each others' views. According to Barker, the EP and Congress will be at the heart of the broadening transatlantic relationship. Despite soft quarrelling over excessive summitry (EurActiv 02/02/10) "the US and Europe have tightened their robust economic and political relationship – so much so that the past decade has demonstrated that it has become softly domestic," Barker stressed. Piotr Nowina-Konopka, director of the newly established European Liaison Office at the US Congress, believes EU founding father Jean Monnet's idea is coming to life. "Monnet had that vision of having transatlantic working groups composed of staffers," he said, noting that lawmakers are gradually realising the need to find out more about each other in order to work closely together. A true partnership will not happen overnight, however. While MEPs have set up an office in Washington, Capitol Hill is thinking of doing the same in Brussels, but not in the near future. "I'm guessing it will take a couple of years, because all of these ideas – when you have institutions – take time to emerge into implementation," said Delahunt. In the meantime, Congress and Parliament know that there is a real need to upgrade their dialogue model. "We could take this TLD 'device' and enhance it, change it, tweak it and strengthen it to simply rewrite the rules," proposed Congressman Delahunt, noting there is no need to create new structures. Congress concurs that there is a need to broaden the membership of the TLD to include members of the Senate, which is currently not involved in the dialogue. "This will not be a blitzkrieg," said Nowina-Konopka. "But sooner or later it must be a success because our vocation as parliamentarians is to build bridges." On both sides of the Atlantic, decision-makers are realising that there is a genuine need for an informal G2 to swiftly act on legislation before it is too late. Senator Jeanne Shaheen, chairwoman of the European subcommittee in the Senate, stated during a recent hearing that the US-EU partnership "cannot coast on autopilot". In a recently published recommendation paper, the Bertelsmann Foundation underlined that the two legislators often consider issues related to the economy, homeland security, justice and energy with tunnel vision. "The next frontier in transatlantic relations will be to bridge this legislative gap," reads the paper. The Washington-based arm of the German foundation stressed the need to rewire cooperation on a committee-to-committee basis, recognise the soft-power dimension of Congressional-European Parliament cooperation and focus on legislation that can be useful for the rest of the world. 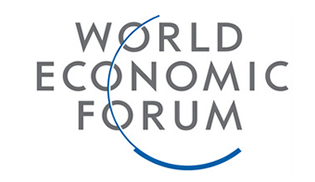 "A European leader recently said 'think globally, act transatlantic' – and I concur. I think it's very important that the United States recognises the significance of the EU," said Delahunt in his interview with EurActiv. MEPs can only agree. According to Baroness Sarah Ludford, vice-chair of the European Parliament's delegation for relations with the USA, the EU and the US have different standards and regulations in many areas, including financial services, chemicals and toxic substances. "These are areas where we regulate all the time and unless we get convergence, we will set up two different sets of standards and the danger is that the standards of someone like China will dominate the world economy, whereas we have the chance for transatlantic standards to set the global benchmark if we work together," Ludford said. According to the UK MEP, action in traditional areas related to foreign and security policy must also include further work on setting global standards in financial regulation, climate change, trade, agricultural policy, patent and intellectual property rights (IPR) protection, digital privacy and so on. She stresses as an example the new standards being put in place for electric cars. EU-US analysts concur that US-EU legislative cooperation is essential. Now more than ever, policy depends on the US and the EU being motors of legislative action. "When the US and Europe work together in shaping policy, the implications are global. The stakes could not be higher," said Barker. EU-US relations have been on a somewhat bumpy ride in recent years, with disagreements over issues ranging from the Iraq war to the Kyoto Protocol and the International Criminal Court. With the election of Barack Obama as US president, the European Union thought EU-US relations would take a different turn. 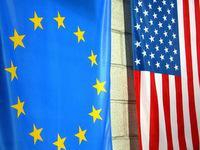 But a recent series of events has shaken EU-US relations even more. First came the Copenhagen UN climate conference in December 2009, when President Barack Obama cut out the EU to secure a deal with China and India. Then Brussels was disappointed when the US administration announced reform of its banking system, unilaterally undercutting discussions within the G20 Financial Stability Board on coordinating regulation on financial services. To make matters worse, Obama decided not to attend the annual EU-US summit in Madrid in May, as he had more urgent matters to deal with at home. But the EU has been trying to regain ground, and proposed to upgrade transatlantic relations beyond traditional Atlanticism.